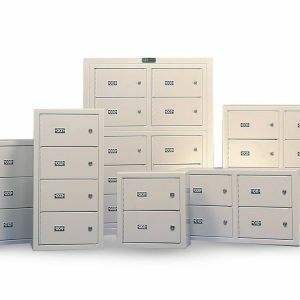 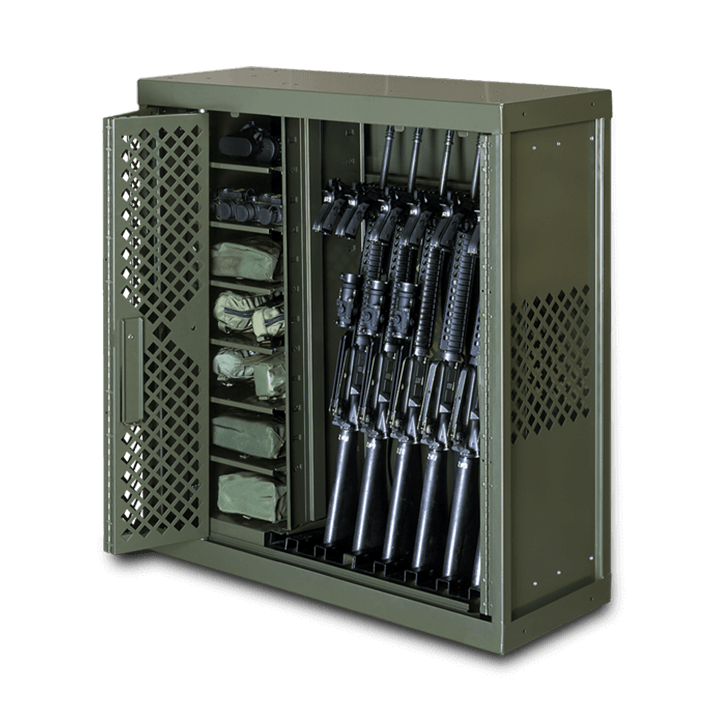 Our configurable wall mounted gun locker shelves and drawers combine the accessibility and security of filing cabinets with the space efficiency of open shelving. 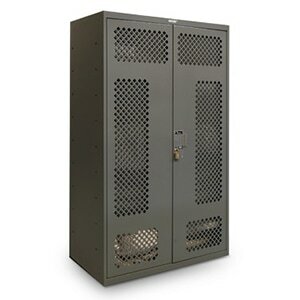 These highly secure sally port gun lockers make temporary handgun storage safe and easy. 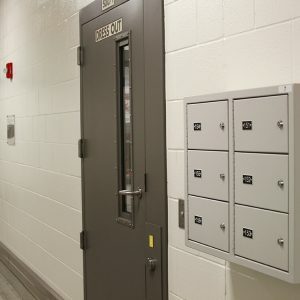 A wall- mounted gun locker is also ideal for interview rooms, common areas, or any other location or situation that requires the utmost in handgun security. 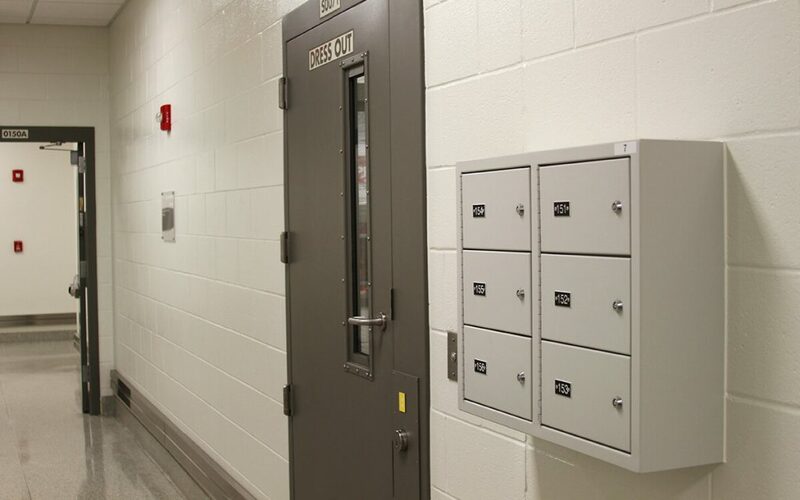 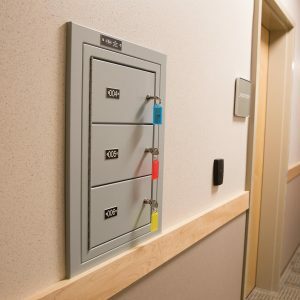 These law enforcement lockers can be flush-mounted (installed inside the wall, with the door flush to the surface of the wall) or mounted on the wall so the weapons locker protrudes from the surface of the wall. 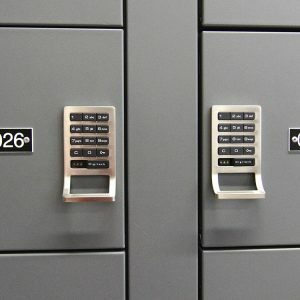 Your firearm may feel like another appendage, but you have to store it sometimes. 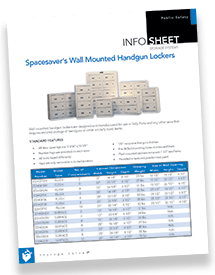 Unholster this brochure to see how wall-mounted gun lockers combine accessibility and security to store guns where you need them. 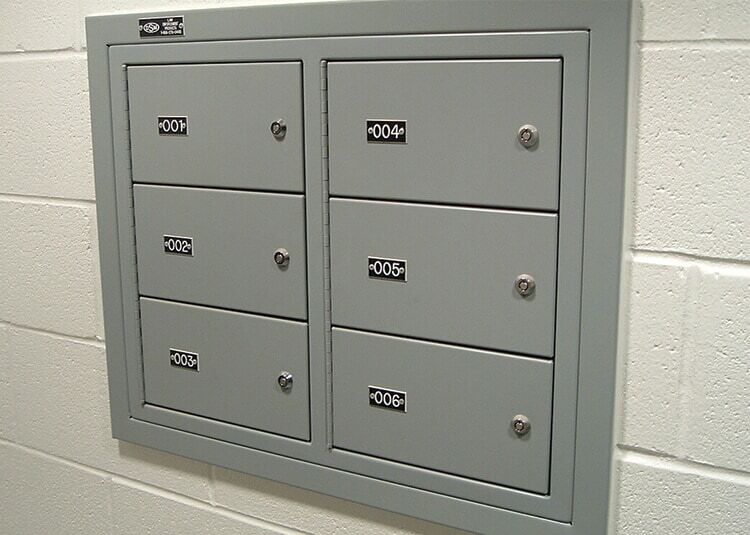 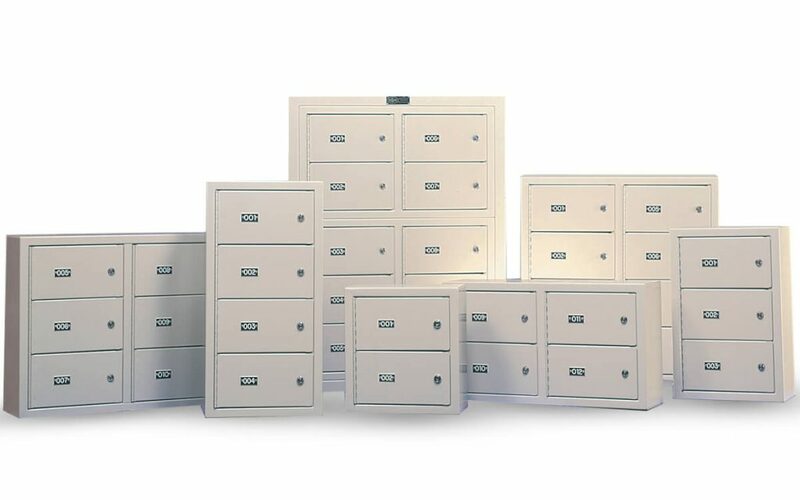 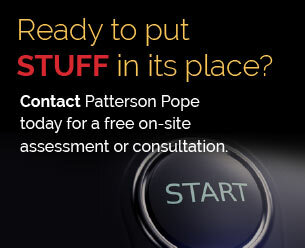 We offer seven models of wall mounted gun lockers with up to 10 openings per system. 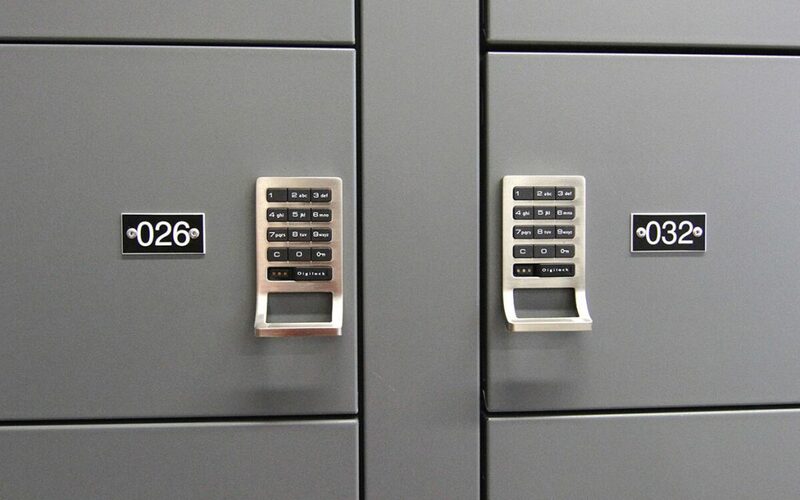 Individual keys provide access to each opening, while a master key allows for quick access to all lockers. 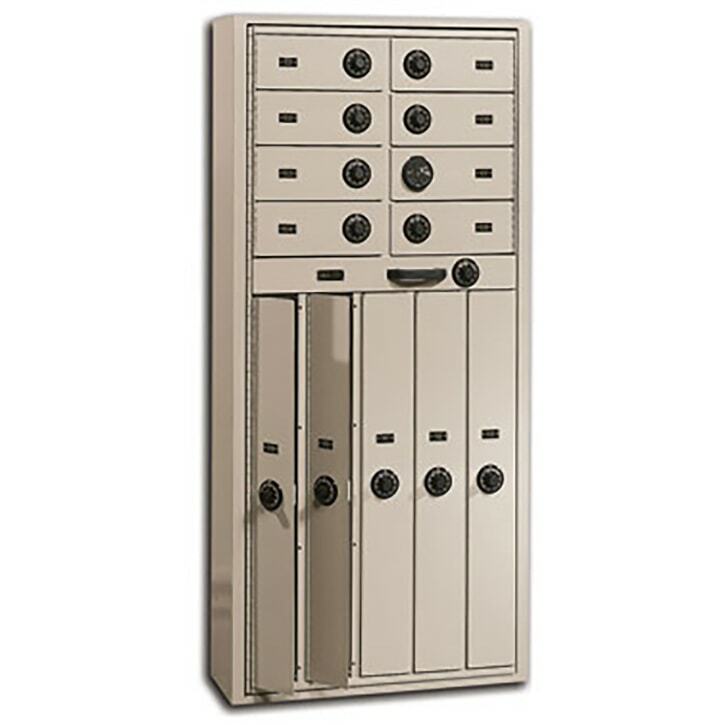 Combination locks and digital locking mechanisms are also available. 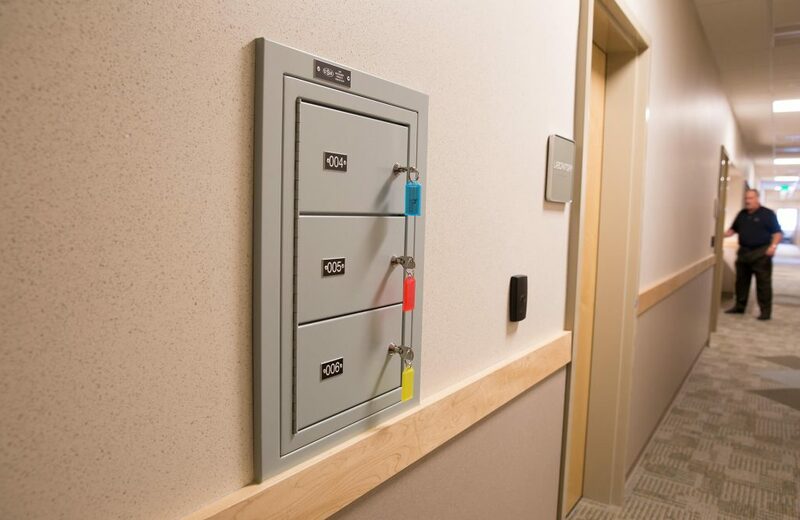 Neoprene-lined shelves minimize noise and damage to the weapons.